Searching for pros that are masters in Craftsman or Chamberlain garage door opener installation in Tacoma, Washington? Call us to be certain the service is done with the precision only skilled pros can bring to the job. We proudly work with highly experienced techs that can install electric openers of all brands and do the job with ultimate accuracy to ensure your future convenience but also safety. So if you plan overhead opener installation and want the best Tacoma experts for the service, call our company. We make your garage door opener installation service experience as smooth as it can be. Not only will a pro come out promptly to provide solutions and assistance but will install the new opener you choose with the utmost care. That’s extremely important to both your security and safety. It’s also vital to your convenience. An opener incorrectly installed will cause myriad problems. So, don’t settle for second choices. Choose CT Garage Door Repair Tacoma for the installation of any opener. 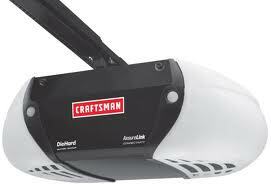 Our company works with techs that install garage door opener brands ranging from Marantec to Sears. Want to install an AC chain drive Genie opener? Are you interested in a high-tech LiftMaster opener? Would you prefer to invest in a DC motorized opener? It makes no difference to us which motor and brand you prefer. Our only endeavor will be to help you make the right selection and this will happen with the assistance of a garage door repair Tacoma WA pro. So call now to schedule an appointment. Whether you need chain, screw, or belt drive garage door opener replacement, we are at your service. Irrespective of brand and motor, the techs install all openers. The most vital thing here is that they install every single part of the opener by the book and focus on the adjustments that will allow the garage door to operate with safety. Get same day garage door opener repair in Tacoma by asking our help. If you need to fix some opener problems, replace the clicker, or make adjustments, we are a phone away. Call us if the overhead door won’t come down or the motor is noisy. No matter what the problem is, a pro will fix it. No matter what opener you want, a tech will install it. So do give us a call for trusted Tacoma garage door opener installation and repair services.